“Truck-driving is in the blood of Sikhs and Punjabis,” Dhillon noted. Pawan Singh Arora who previously served as District Information Officer at Directorate General Public Relations Punjab in Nankana Sahab is appointed as PRO Punjab Governor House. Dhillon says providing meals was a collective idea of the community. The appeal was made in the background of recent development where both Pakistani and Indian governments agreed to open up the Kartarpur Corridor for Sikhs. 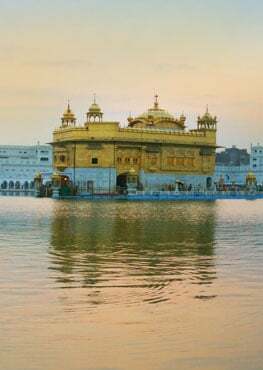 The SGPC has also put up boards in the Golden Temple stating “Photography and videography is strictly prohibited in the precincts of the Sachkhand Sri Harmandir Sahib (Golden Temple), the spiritual centre of the world”. The bill seeks to amend the Citizenship Act, 1955, to grant Indian nationality to people belonging to minority communities -- Hindus, Sikhs, Buddhists, Jains, Parsis and Christians -- in Afghanistan, Bangladesh and Pakistan after six years of residence in India.